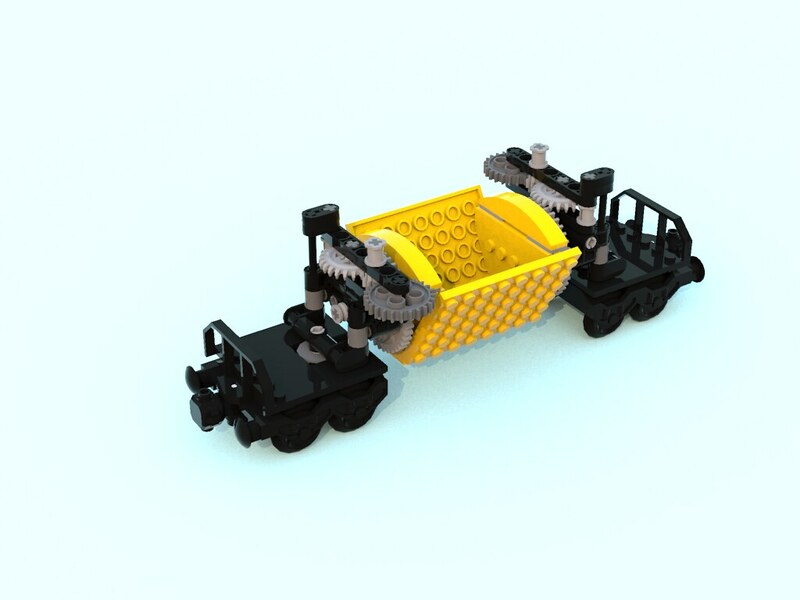 In the early lego idea book there was an operating hopper car. In the early 2000's there was one that was a side unloader. Has anyone come up with any new ideas? I need something to automatically unload either between the rails or on the side. Something on the side of the track should be the operating mechanism, preferably as the car is moving. I've looked at several rotary dumpers but that is not the way I want to go. The design can be prototypical since it will be operated in an industrial plant environment, not main line. I am interested to see what responses you get. I have wanted to build a power plant that has its coal delivered by rail. 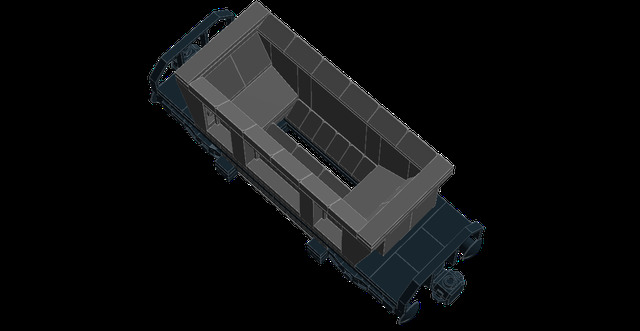 During the offloading process, the hoppers go through a series of stations that automatically open the doors to allow the coal to dump underneath the tracks where it is scooped up and loaded onto conveyor belts to the silos. I'll be watching this with interest. While not "automatic as the car passes" car tippers are really neat to see in action... Would take some engineering in Lego but would be neat to see. the other option would be simply designing a slide ... Perhaps with the spring suspension parts that catches a latch to push it open during a section of track the once off the latch the slide snaps shut. Actually the idea of a slide is not a bad one. I'll have to do more study. Just a couple links in my searches for "what's already been done"
And I was going to post the one @Andy Glascott already posted lol. @AlmightyArjen has a lot of programming involved but it makes for a neat display I'm not sure your looking for a programmed method... From the sounds of it you want a static point that you have to drive across? So you have more physical control? Am I thinking correct? Edit: a couple GBC that might be more your style... Not sure if it can be modified to "coal studs/bricks" but I don't see why not. I may automate later, in fact I did it once with the Lego hopper I mentioned before, to show an automated sequence using the EV3. Now just something I could run over and unload is what I'm after. The rotary dumping just would not fit in the diorama and would take away from the blast furnace complex. Along the lines of something sticking up in the roadbed that would catch a slide to open the hopper and a spring (rubber band???) to close it. My engine is controlled by sbrick so I can run it dead slow at the dumping area. I only have two kinds of material so I was thinking a narrow catch one on either side of the car depending on where I want to unload. The industrial setting allows me the freedom of constructing cars that don't hit the high iron. 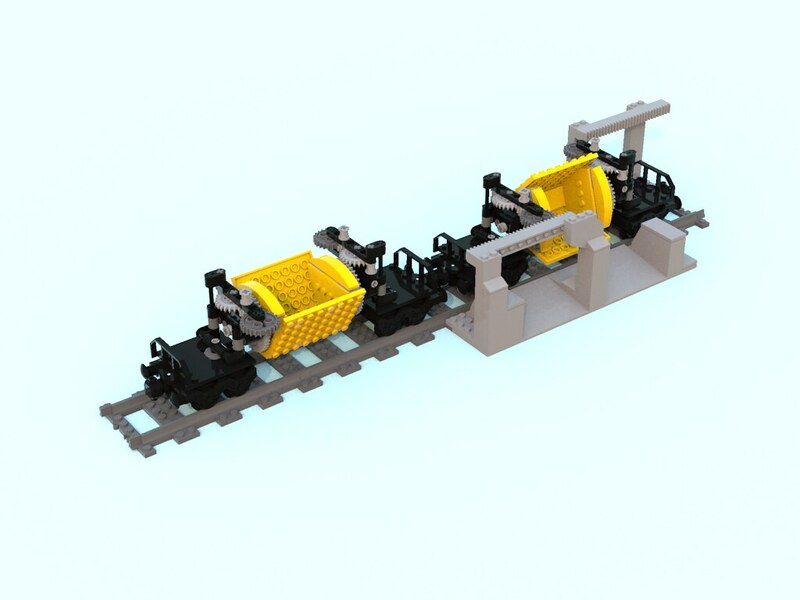 If the original concept from the 7777 LEGO trains idea book suffices, there is an LDR file in the wild for that which can be found here: http://www.cubic.org/~doj/lego/7777-1/ made by Dirk Jagdmann. Thanks for the link. I downloaded it a year or so. Some good stuff in there. Since It does not have to go to the main line, I can be creative. The lever will dump the pair of boxes. This is like a device called railveyor. How about his idea then? I've had this mechanism knocking around my head for the past year or so, so it was good to get it down on paper. Or in digital, at least. 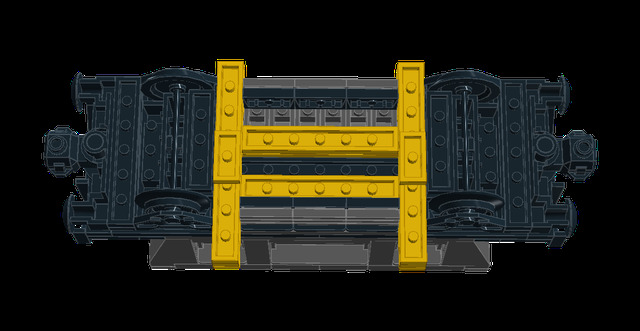 Here the yellow brick opens the hopper, and the blue one would close it again once it's passed. 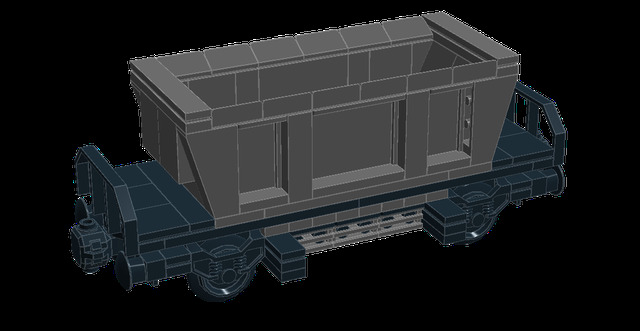 This will only work with 1x1 round bricks or plates for the material being unloaded, but should function with very little external input, and it still looks like a real wagon. The LDD file (for anyone interested) is on my bricksafe. Whatever you go with, I'll be interested in the result; I love the sound of what you're doing! This is interesting and I will try it out today. That is brilliant, with peeron scans here. I could easily see the mechanism being made smaller and more discrete. Then put a gear on the opposite side to bring the bucket back up to normal position. That is brilliant, with peeron scans here. 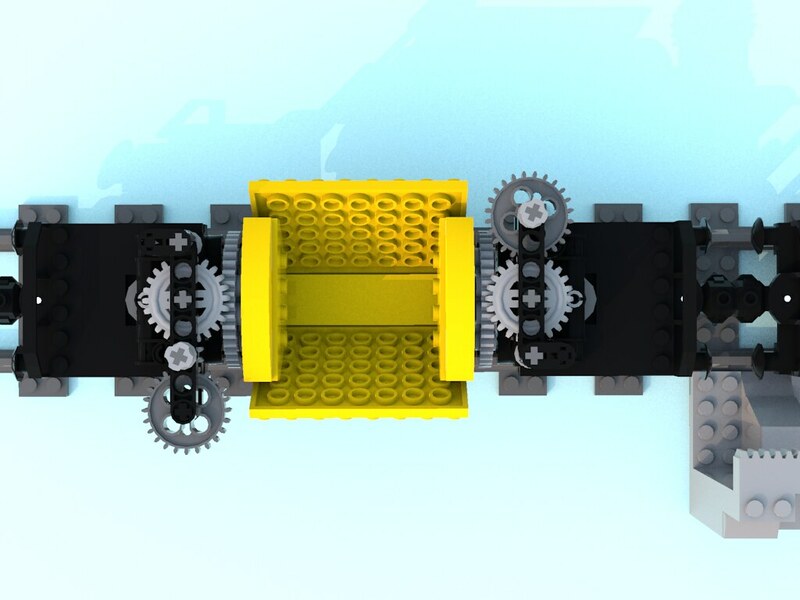 Edit: I just realized I left the idler gear in on the reversing gears this should be removed I will fix the renders at a later time.